Karen S. Wilshinsky, Esq. | MCLAUGHLIN & WILSHINSKY, P.C. Karen S. Wilshinsky, Esq. – MCLAUGHLIN & WILSHINSKY, P.C. Karen S. Wilshinsky is a partner of McLaughlin & Wilshinsky, P.C., which she joined in 2005. Her practice is concentrated in contractual business matters, with an emphasis on trademark and copyright protection, unfair competition law, new media law, and domestic and international intellectual property protection. Prior to forming McLaughlin & Wilshinsky, P.C., Ms. Wilshinsky was with the top-ranked intellectual property firm of Fross Zelnick Lehrman & Zissu, P.C. for over six years before starting her own firm. She has represented clients ranging from global multinational corporations to small business owners and individuals, including a decade spent serving as Consulting Trademark Counsel to Revlon Consumer Products Corporation. Ms. Wilshinsky works with law firms in almost 200 foreign jurisdictions in her role managing global intellectual property portfolios. Ms. Wilshinsky is admitted to practice before the State and Federal Courts of the States of New York, New Jersey and the Commonwealth of Pennsylvania. She is an active member of the International Trademark Association and numerous Bar Associations. 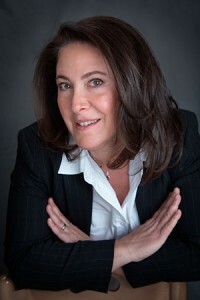 Ms. Wilshinsky earned her undergraduate degree from the George Washington University, in Washington, D.C. She later earned her law degree from the Benjamin N. Cardozo School of Law, located in New York City, where she was the Senior Managing Editor of what is now the Cardozo Women’s Law Journal. Ms. Wilshinsky also studied abroad on two separate occasions: First, at the Instituto Internacional de Madrid, Spain, and later at the International Institute of European Studies, located in Brussels, Belgium, where she attended an intensive law school program studying the laws and institutions of the European Community. Ms. Wilshinsky is active in her community where she serves as a Committee Member of her son’s local Cub Scout Pack. She also sits on the Board of Directors of her 3500-member community association. Ms. Wilshinsky has participated in various community activities, including providing pro bono legal services to members of her community, teaching computer skills to female parolees in New York City, and acting as guardian ad litem for individuals in need before the New York City housing courts. She and her husband, Carl, a pilot and corporate aviation manager, currently reside with their son, Joshua, outside of New York City.